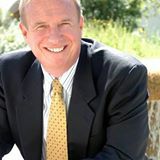 My passion is to help you when looking to buy or sell a home in the San Diego region. After 16 years in the business I have the experience to do so. Please give me a call so I can help you. Steve also goes a step further and will use his expertise to build trust and work to help stage your homes exterior and interior. In other words, with a little clean-up and decorating help, Steve will not only make your home realize its full potential, but beat the competition and bring the best price. Steve is certified as both a senior and negotiation specialist. As a member of the National Association of Realtors, California Association of Realtors, and the San Diego Metro Association of Realtors, he is held to the highest caliber of service.